What if a time traveler lived in a world where disrupting the timeline could destroy everything in the universe? Everything but himself? Pilot X is Ambassador of the Alendans, a race with the ability to move through space and time as guardians of the timeline. Locked in ongoing conflict with the Sensaurians, an organic hive mind that can send messages in thought throughout its own history, and the Progons, a machine race who can communicate backwards in time, Pilot X finally manages to create peace among the three races. But when Pilot X discovers that a secret dimensional war fought in hidden parts of spacetime threatens the fabric of the universe itself, he faces unseen enemies and a deeper conspiracy, bringing him to the ultimate choice: erase the existence of all three races, including his own people, or to let the universe be destroyed. ©2016 Tom Merritt (P)2017 Audible, Inc. I really enjoyed this story, the storyline was great and the narration was on point even changing voices for different characters. I wish this would come out as a movie as the story is perfect for one. I am pretty picky with my books but this one was written perfect and hit my imagination the way I like it. 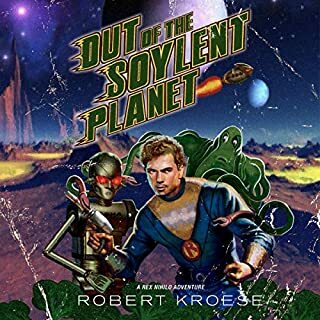 I fully recommend this to anyone who enjoys syfy books. Thank you Tom Merritt, hope there is a sequel, I would definitely buy that one too. Great character and universe building without it seeming like it is being forced into your ears. You will likely listen to this several times to get all the nuisance and details packed into this story about a time traveling pilot who is constantly running into people who know more about his future than he does. Sad to say, but I was enjoying the story so much that I was sorry when it was over. It felt complete, but I wasn't ready for it to end. Fast paced, entertaining, and well read. If you could sum up Pilot X in three words, what would they be? Pilot-X is fast paced, entertaining, and for a time travel book surprisingly understandable. He somehow manages to make you think of time travel as part of day to day life for the characters, while keeping you guessing about what comes next. 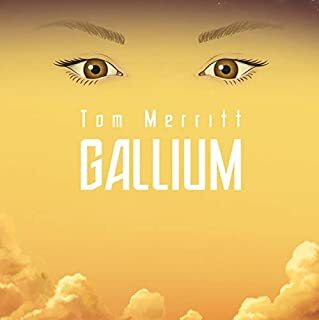 Merritt takes a genre that could have easily been full of clichés and turns it into a story that is both fun and refreshing. 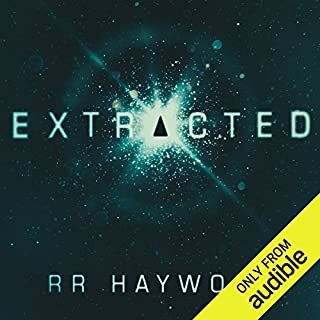 As an avid Audio book listener, I can also highly recommend the Audible version, which is read extremely well. Keven T. Collins adds his own incredible talent to the mix, brings the Pilot-X to life, and makes the comedic beats of the story hit with perfect timing. I find myself hard to please when it comes to sci-fi these days, but I can strongly recommend Pilot-X to even the most jaded reader, or listener. It will leave you with a smile on your face, and that is perhaps the most important endorsement I can give. 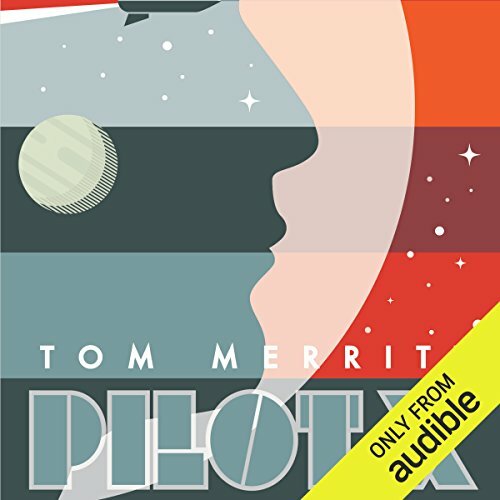 As a fan of Tom Merritt’s Daily Tech News Show, and his assorted podcast throughout the years, felt a bit obligated to check out Pilot-X. From the description, I was worried that it was just going to be a Dr. Who knockoff, and admittedly it has a lot of similarities to that classic BBC show, which I expected. What I did not expect was for it to be so good. I've been looking forward to this release since it was announced! First of his books with an Audible version. Loved all of his other works. Finished it, but never felt invested in it. Maybe needed more character development? I didn't ever really feel like I knew the main character. Not my cup of tea. Loved this book, nice use of character interaction through time. Can't wait for a sequel. While it took a while to get into the style Tom Merritt used in this story, particularly with the repetition of the main characters name, once I had drawn a mental parallel between this character, and Dr Who, another time travelling jack of all trades, I was able to focus on the development of Pilot X. While I understand the importance of the naming structure, it would have been easier to digest if sometimes the name was shortened. The pacing of the story built up to a nice crescendo as it twisted and turned though time and space, and I think I might need to read it again to really grasp all the detail, but for a first effort, this story shows a lot of promise. In another comparison to Dr Who, one of my favourite characters in the story was Pilot X's ship, but you'll just have to read it to find out why. The first stlry involving time travel that did not make my head explode. Kudos to Mr. Merritt. This book was OK but I can't really say that I enjoyed it. If I can get the time back I wouldn't read this book. 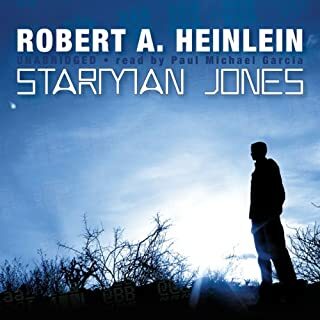 If you really like time travel it might be OK.
Audiobook: I was unfamiliar with Kevin T. Collins prior to listening to this book, but I'll be keeping an eye out for him in the future. He reads clearly at good volume and does a few voices as well. Tom lucked out with a good narrator who added a little something extra to the book. For what it's worth, I've been a member of Tom's online book club Sword & Laser for nearly 5 years, and helping to moderate the group for the last 2.5 years. Tom might be better known for his work as a tech blogger and podcaster, but to me he's always been someone whose opinions on Science Fiction I've come to value. I picked this book up once I saw that I could get it in audio because I wanted to support Tom, but I seem to have very little time to read lately. I know Tom has dabbled in writing on and off, especially during Nanowrimo, and that shows here. I haven't read any of his previous works, but this book is well written. Tom does a good job of showing and not telling, which is especially important to me in a book this short. There are some big ideas about Time Travel, and he is consistent within his own rules for how it works, without spending too much time getting into the "science". This is the kind of big idea, little detail story I tend to associate with older Science Fiction stories. Oddly, I don't tend to enjoy much classic Science Fiction because I tend to prefer more detailed world building. However I felt this book does a good job in packing in world building as the story progresses. There is a lot of room for imagination, but you're provided enough detail for framing the story he's trying to tell. The one place I felt was a bit lacking was the characters. There isn't a ton of character development with Pilot X, and apart from the ship Verity and maybe the Secretary, most of the characters feel thin/disposable. I would have liked to read more about the after math of Pilot X's decision than we got. The book has a bit of a Doctor Who feel, which isn't surprising as Tom has discussed how his inspiration for this book stemmed from that show's own Time War. However Pilot X doesn't feel like the Doctor. Or at least not any of the Doctor's I'm familiar with. This book does a good job at borrowing an idea from Doctor Who while being it's own thing. I'm glad that I picked it up, and figure that I'll be able to tell people I followed Tom Merritt before he became a successful writer. Loved this story. A great concept for how time and space travel would exist. Exciting /intriguing piolet x is a great novel. 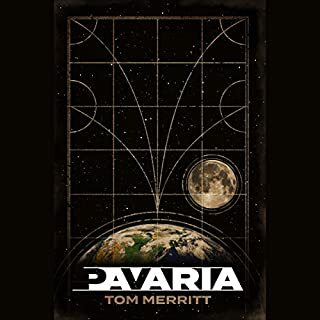 I'll be looking for more books by Tom Merritt.. Pilot X is an unlikely hero who has a wicked sense of humour. Verity his ship is his dry straight man. We knew the end but enjoyed the ride to get there. 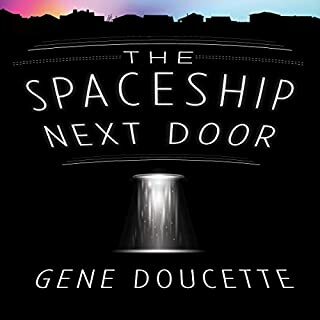 Great fun story, brings up some very interesting problems faced by would be Time travelers!